The many languages of India | Walk with us! Most of the postulants, and for that matter, members of the Indian District, come from the states of Kerala and Andhra Pradesh. There are a few from Goa where Fr. Mariano, the superior of the theologate, hails from, and in recent times a few come from north India. Each state has its own language and, I suspect, a number of dialects and local languages as well, especially where migration has taken place. For example, here in Andhra Pradesh the state language is Telugu while in Kerala it is Malayalam. 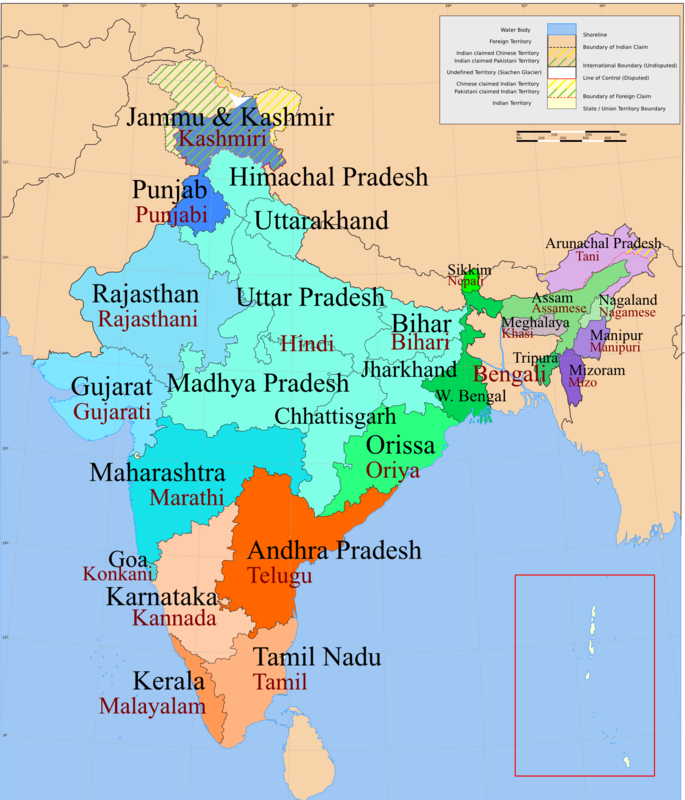 Hindi is considered the national language and is the lingua franca. English is also an important national language. It is the language used in education, especially as one moves up the ladder from primary to secondary to university level. Because our students come from different states English is also the lingua franca of our SCJ community. Because of the language issue, it is not so simple for the district superior and council to assign men to ministry. Especially since, with the exception of Mumbai, the parishes we have are in rural areas where the local language must be used. So someone from Kerala can’t be assigned to Andhra Pradesh for parish ministry unless he knows the local language. In Mumbai at Divine Mercy Parish, Mass rotates between English, Hindi and, I believe Telugu, as the community consists of migrants who have moved into the area looking for work. For the majority of Americans, speaking a second or third language is rare. Certainly in the past 20 years or so Spanish has become an important second language in the States given our large Hispanic population. Most of our students in India know two or more languages besides their command of English. For a Westerner learning any of the local languages of India is compounded by the fact the script is so different from our own. It’s like studying Hebrew or Greek where the first thing you need to do is learn the alphabet. Telugu has 54 characters in its alphabet as opposed to our 26. Our liturgies are in English, though some of the songs are done in other languages. These local songs are ones the students know by heart. Liturgical music is a part of both Mass and Adoration. We often will chant the psalms as well during morning and/or evening prayer. While in the States we often will sing two or maybe three verses of a song; so far every one we have done here has been sung from beginning to end. I really enjoy hearing the experience of those in India. It brings our world closer together in the family of God.